Mark, Michelle and I all arrive in Amsterdam after our flight across the Atlantic weary but happy to have a good breakfast and coffee in Amsterdam’s beautiful Schipol Airport. Shannon is behind us in travel, having left Nashville later as he is going to Kiev through Rome and arriving in Kiev at about 4 pm today after we arrive at 1 pm. Our flight from Amsterdam to Kiev goes smoothly. And more importantly, so does our going through Customs at Kiev Airport. While Mark and Michelle and host/translator/driver Ruslan Tkachuk await Shannon’s arrivial and spend the night in Kiev…..Dr. Sergei Bolyukh and I meet with Dr. Vitaliy Demyanchuk…our dear friend and heart surgeon in Kiev who was with his wife and colleague Dr. Maximenko in Nashville as guests of mine at Vanderbilt in late 2004. Also joining us for lunch is my dear friend Paul Thorson of Nashville…musician and playwright residing in Kiev who is accompanied by his fiancé Vika. Paul has written and amazing play and musical score for his play “Dynamo” which depicts the time in Kiev of German occupation and the heroism of the local Ukrainians’ and their soccer team in matches against the Nazis. After supper in Kiev, Sergei and I head to Vinnitsa on train. This city of 400,000 in central Ukraine is my second home…as I have spent much of my time in Vinnitsa since 1996, 31 trips ago. The family of Jon and Luanne Mohr were inspired to move to Vinnitsa as missionaries from the People’s Church of Franklin, TN in 1996. They had been introduced to Vinnitsa in 1995 on a mission trip headed by Mikhail Mashnitskiy….native of Vinnitsa who left the collapsing Soviet Union in 1991 and moved to Franklin, TN. That is how my family and I learned of Vinnitsa as new members of The People’s Church in 1995. So Sergei and I arrive at his home in Vinnitsa this night, after sleep on the train, and his wife Olga, also such a dear friend, greets us with tea and food. Back in Kiev, Mark, Shannon, Michelle, and Ruslan stay overnight. While Mark, Shannon, Michelle and Ruslan tour around Kiev, and later drive to Ruslan and Archana Tkachuk’s Foster home on the Moldovan border about 2 hours from Vinnitsa…..Sergei and Brian awaken and depart for the Vinnitsa Nazarene Church service. This Church has become near and dear to my heart as I have been blessed to witness and sometimes participate in the church’s outreach to those with drug and alcohol problems and HIV and also a prison ministry. Pastor Roman and his wife Oksana are a wonderful young couple. To say that I love their church and it’s people is a big understatement. Pastor Roman had to be out of the city unexpectedly at a funeral, so I was asked to give a brief sermon. It was a joy to speak to them about how their church is turned outward with its’ hearts and thus is always growing. Following me with the more formal sermon was visiting Pastor Scott Rainey and his wife Jenny, who is a nurse. They live in Kiev and Scott is the American Nazarene Church’s envoy to the CIS, including Ukraine. He is a Pastoral and Church leader and what a pleasure it was to meet this couple. We all went to lunch at Dr. Sergei’s after the service, and the fellowship was vibrant; Olga’s food was it’s usual phenomenal. Next is was on to a pizzeria at night to meet with several friends that we love and help sponsor in various ways…..Lyudmila Sinyavskaya who had her mitral valve replaced at Centennial Hospital in Nashville in 1997; Galya, Pavel and Oksena Schpok who Luanne Mohr introduced me to in 1997….daughter Oksena now in Nursing School; Olga and Anya Matichuk of Lityen….Olga’s husband Grigoriy had bad heart failure when we met in 1998…and it was through Grigoriy that I found out the doctors here were not using high dose ACE inhibitors in systolic heart failure…leading to a protocol I shared with the doctors then that altered care of heart failure in this area of Ukraine…a real collaboration with impact to be a part of….and also joining us was Dr. Irina Stephanenka, a Cardiologist that works with those in need in Vinnitsa Oblast, and shows us how to best help. Her friend Dr. Marina Sizovna and her son joined us as well. A wonderful evening for me. A busy day in Vinnitsa….starting with a consultative Cardiology Clinic with Dr. Tatiana and about 20 sixth year medical students. This was beyond a joy for me…to be able to teach and to also help several patient’s in need. One a 62 yo woman in dire need of mitral valve replacement….who we will help sponsor so that Dr. Vitaliy Demyanchuk in Kiev (mentioned earlier) can replace her valve. She has a big need and no funds. We also met others we had been blessed to help in the past. But the biggest joy for me personally was the teaching….what to listen for, what to monitor….as the students were mostly headed for careers as Family Doctors. After the Clinic, we were able to meet with Dr. Vasiliy Moroz, the Rector of Pirigov Medical University in Vinnitsa. We go way back…to the first trip in 1996 when he invited me to speak as the first American doctor to address their student body and my talk was on “HIV Emergencies”. At the time, only 4 of about 250 doctors and students in the audience had ever cared for an HIV patient. Sadly, I predicted correctly then that it would drastically change in the next two decades. Dr. Moroz is a Physiologist and has devised an amazing computerized video teaching tool to depict human physiology and response to medications from the cellular level all the way to the organ level….and I believe it will become very popular. It is called “SKIF”. Acronym for words in Ukrainian. Dr. Moroz was a guest at our home in 1998 when he visited Nashville and Birmingham…so we go back quite a ways also. Next visit was at the oldest Hospital in Vinnitsa to consult about their fledgling efforts to start a Hospice. None exists in Vinnitsa Oblast, and it is much needed. In 1983 a Priest, a Nun and a college Professor and I had the joy of launching a Hospice in Potsdam, New York….so I was able to share a bit of the steps I know they will need to make to establish and outpatient and inpatient Hospice. Especially I am encouraging them to involve the already in place Hospice work in nearby Poland. Now it was time for me to say goodbye to Vinnitsa and for Dr. Sergei and I to move on to Mogildiv-Podillski and rendezvous with Mark, Shannon and Michelle at Archana and Ruslan Tkachuk’s Foster Home. We got busy right away with an abbreviated presentation of our ACLS,PALS and ATLS Highlights at the Mogildiv Hospital. Ruslan has created a wonderful link for us to this facility…as they transition from being a small city Hospital to a Regional Hospital with expanded services. We love to work with them….now on our 5th visit to their facility. After time with Arch and Ruslan and their 10 kids….we had to head out to our first of two overnight trains this trip….from Vinnitsa to Lviv. Joining us for the rest of this trip at this juncture is Dr. Vitaliy Krylyuk….who works as chief educator at Kiev’s Disaster medicine and EMS center. Vitaliy and Dr. Georgiy Roshchin, the Director, were our hosts for the first rendition of this “Highlights of ACLS,PALS, NALS and ATLS” last December in Kiev. Dr. Roshchin was our guest and sponsored by the ACEP International Section to participate in the ACEP 2012 Denver Scientific Assembly. Lviv is beautiful. 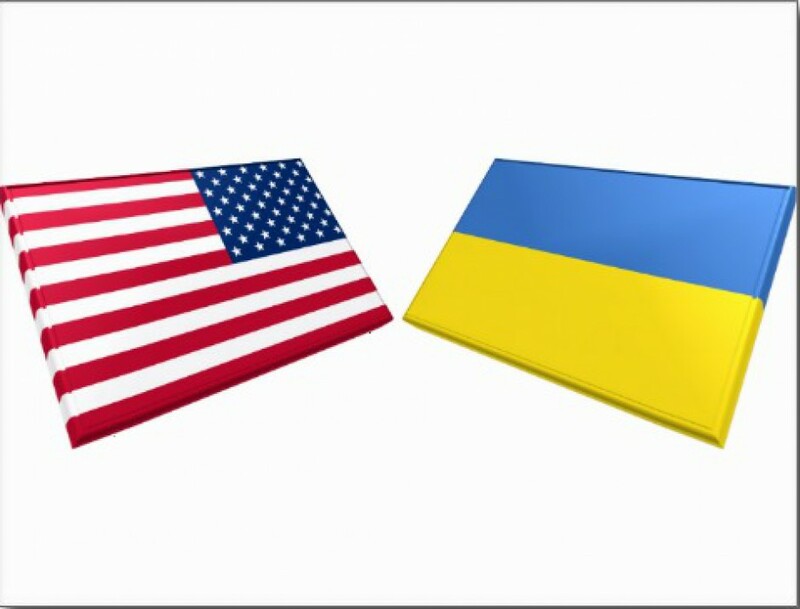 As Ambassador to Ukraine for the American College of Emergency Physicians, it is my calling to ever expand our outreach of collaboration in Ukraine. My 32nd trip, Mark’s 5th, Shannon’s 4th and Michelle’s 2nd….so we tend to “hit the ground running” now. Ukraine hospitality is second to none, trust me. So after freshening up and a nap….it was time for our new friends Drs. Lyudmila, Yaroslav and Yuriy to give us a tour of Lviv and a tour of their Disaster Medicine and EMS facility. Lviv is in northwest Ukraine, and geopolitically very PRO-UKRAINIAN. As in not to fond of Putin, etc. Of course, we tend to go with the flow, as our efforts are mostly apolitical. We just want to share and collaborate. But as an American, you cannot help but share in some of their perspective. In November in Lithuania a pivotal decision will be made by the EU and Ukraine as to whether the EU will welcome Ukraine on a pathway to becoming part of Europe. So, here we were being shown the beauty of this amazing city, and as usual, finding ourselves in the midst of wonderful new friends. In the evening we headed to the Conference Center in Ternopil, an extension of the Ternopil Medical University. There, our host, Dr. Arson Gudima set us up with usual Ukrainian hospitality. We bedded down for the night before beginning our two day presentation “Highlights of ACLS, PALS, NALS, and ATLS”. To say that we felt welcomed and well-received does not come close to telling the full dimensions of this two day conference in Ternopil. It was exciting to talk about mutual protocols and to have Dr. Michelle Sergels’ Simulation Cases bring the audience to life with real participation and a chance to discuss the areas we see in both of or countries where we need more emphasis. Like Hands Only CPR education for the public; more AED’s; readiness to take care of sick children emergently in the field. With their ER doctors being on the ambulances instead of Hospital-based, it is indeed a different model….but the issues are much the same. The Ukrainian EMS leaders have a common desire to see something akin to ACLS, PALS, NALS and ATLS develop in Ukraine, so that there is a nation-wide common approach and common algorithms of care. Thus, we are asked to repeat this course now…as we did last December in Kiev….and they now believe we should do this in 2014 in Lviv and Odessa. Of course, we are all happy to do this work, and to be expanding our outreach of collaboration into new areas of Ukraine. And this indeed is a goal of the ACEP International Ambassador program in which we are honored to participate. As I write this Blog journal on September 29th we are in the last hours of a 23 hour train ride from Ternopil to Simferopol in Crimea…..the part of Ukraine on the Black Sea…..about to meet new friends and colleagues in Emergency Medicine for the two day conference here in the Black Sea resort of Sudak. Crimea was “given” to Ukraine in about 1956 by Krushchev…at the time it meant not so much as it was all a part of the Soviet Union….but now it is a big part of Ukraine, though much more pro-Russia than central and western Ukraine. But from my prior experiences in Ukraine, the local politics mean nothing to me….we are here to develop relationships and collaboration. And when you put our desire to do that together with Ukraines’ needs and their hospitality….it is a joy and not difficult to accomplish. Our arrival at the Crimean Black Sea resort of Sudak was breathtaking. The weather was sunny and about 70 F. Sudak is on the Southeast quadrant of the large Crimean peninsula. Yalta, of Churchill, Stalin and Roosevelt post WW2 meeting fame, is to the west and south of where we are. The area of Sudak is ancient in it’s history. It dates back to the year 212. Many different occupiers over the years. The Tsars had places here, and in the Soviet era it was a desired retreat and site of summer homes. Shortly after settling into the Hotel, our hosts took us on a tour of the local winery, a site where champaign has been made since 1878. Then on to supper and an early night to bed. Our hosts are a mix of Emergency Medicine teachers, practitioners, administrators and Trauma surgeons. Attending this two day conference in Sudak are about 40 attendees, and from all areas of mid to southern Ukraine, in addition to Crimea. The two day conference here was a success on many levels, as was the one in Ternopil. The collaboration is real, and the questions asked were many. Different approaches abound, both in terms of differences in our approaches/algorithms compared to Ukraine….and between different areas in Ukraine. We sense that the main thing driving the interest in our current topics of ACLS, PALS, NALS and ATLS is the common desire by EMS leaders in Ukraine to have a more consistent approach throughout Ukraine and to require such knowledge by all EMS providers and nurses. We noted a consistent degree in Ukraine EMS of restricted protocols, wherein the Emergency Physicians riding on ambulances are not allowed to do some procedures, such as emergent chest tubes, for instance. They thirst to be allowed to do more to take care of their patients who are in trouble and feel too constricted in terms of their protocols and privileges. The Sudak conference was quite lively, with excellent discussion of our varying approaches. At the end of the two days, we had many new friends. Their hospitality and enthusiasm were great. In the wee hours we depart for Simferopol, the inland capitol of Crimea….for our outbound flights to Kiev leaving at 7 am. It has been an amazing time and trip. The collaborative Emergency Medicine efforts here are very real and impactful. It is exciting to work with our dear friend and colleague Dr. Vitaliy Krylyuk who is the Education Director for Ukraine Disaster Medicine and EMS, Kiev-based. He graciously accompanied us at both conferences this trip and he has been the recipient of our gifts of adult and pediatric Laerdal donated teaching manikins, thanks to Dr. Sergel’s efforts. We also have donated a Sonosite Titan portable ultrasound and at each conference demonstrate the FAST ultrasound exam in trauma. This is underutilized in Ukraine, in our opinion. Dr. Krylyuk is hoping that we will return in 2014 to lecture in more sites in Ukraine and we hope to attend the 8th Annual European Society of Emergency Medicine meeting in Amsterdam from September 28-October 1st, 2014. We hope to oblige his request as the next step in the ever-expanding scope of the ACEP Ambassador to Ukraine program.